For a mountain hike like no other, look no further than the Machame Route for your journey across Mount Kilimanjaro. 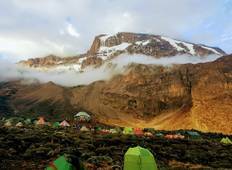 Discover all the best tours, how to prepare for Kilimanjaro and when you should climb it. "The climb was a little challenging, but the G Adventures team really help you make..."
"Amazing guide, delicious food, incredible team. What more can you ask on a 5895m..."
"Greetings, Anyone interested in challenging themselves with a picturesque climb up..."
"Overall it is good. 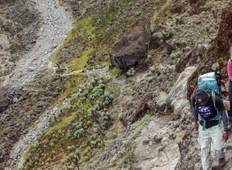 But I think you need to solicit feedback about activities individually...."
"We did our Kilimanjaro climb with Kilimanjaro Wonders Expeditions Safari Africa and..."
"They really made a great effort to get us up to the top and we made it =) !!"